Elopement – ‘Just for 2 of you package’. We offer you the option to have a simple and exclusive wedding just for two. it is not necessary to be in Cyprus 3 days before your wedding, you can just come for one night only. We can arrange your wedding in just one day. For those that want to marry in Cyprus with little fuss and have a romantic experience together. Why not combine your holiday with your wedding. Leave all the arrangements to us, tell us your preferred date and we will organise everything quickly and efficiently. Choose your date; .Civil weddings are conducted on weekdays only at a choice of town halls; between 11 am and 2 pm. Later weddings possible with an extra cost. 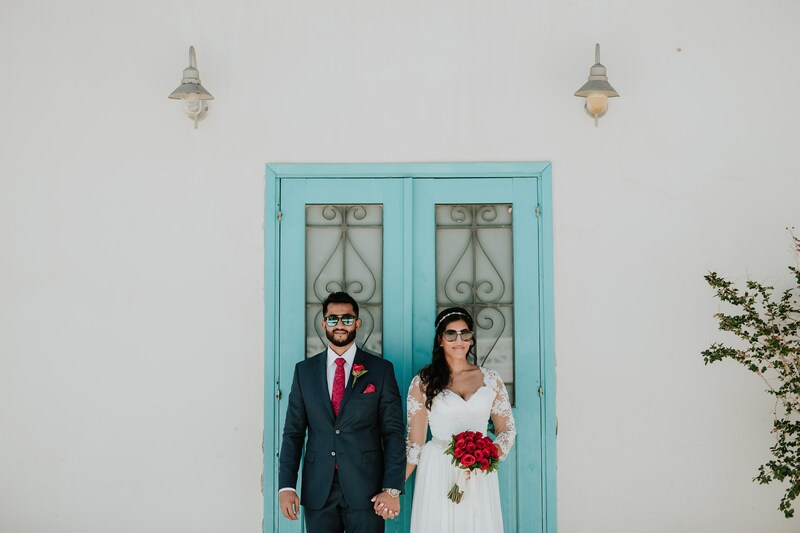 Organise the legalities and paper work this end – plus provide you with a list of all the correct documents you will need to bring with you in order to marry in Cyprus. Wedding license; registrar and Ceremony fee – witnesses will be provided if needed. Attendance of wedding planner throughout. Please note that extra charges may apply for couples that need their wedding certificate attested after the wedding. Countries like UAE, Qatar, Lebanon, Poland, Russia and many more; require Cyprus Minister Apostille stamps on their wedding certificate in order to register their marriage in their relative country. For British or American Passport holders, we can make it even simpler by organizing your sworn Affidavits in Cyprus. What ever Passport you hold or country you reside in, we are experienced and knowledgeable about required documentation needed in order to marry in Cyprus. Choices include St. George’s Chapel/St Paul’s Pillar (Ayia Kyriaki) and St. Nicolas Chapel, Minthis Hills Monastery, and many hotel chapels. St Nicolas church is right by the beach, perfect for jus the 2 of you, please note that this Church has an extra fee of €200 on the top of the church wedding fee.